June 14, 2016, 11:10 AM · In an effort to promote the coverage of live violin performance, Violinist.com each week presents links to reviews of notable concerts and recitals around the world. James Ehnes performed the Elgar with the Toronto Symphony Orchestra. Musical Toronto: "His tone may not be the most far-reaching, but Ehnes’ artistry was more about exploring the architectural shape of the work rather than building the themes individually." Christian Tetzlaff performed the Berg with the Minnesota Orchestra. Minneapolis Star Tribune: "With Osmo Vänskä presiding attentively at the podium...Tetzlaff gave these final pages an appropriately elegiac character, with poised and elegant tone, as if the sound were bathed in a delicate light conveying a sense of profound nostalgia and regret. Earlier on, the more vigorous passages, both in the orchestra and the solo line, were delivered with a clarity and a striking unity and fidelity to Berg’s dynamic markings." Pekka Kuusisto performed the Ligeti with the New York Philharmonic. New York Times: "Mr. Kuusisto vanquished the concerto’s daunting challenges, giving a wild yet masterly performance and eliciting a tumultuous ovation." Financial Times: "Undeniable star power supplanted mere ensemble virtue in the complicated concerto, with Pekka Kuusisto making the impossible solo challenges seem rapturously easy, and Gilbert beating time efficiently while providing careful cues for a Lucerne alumni band." Noah Bendix-Balgley performed the Beethoven with the Sarasota Music Festival. Herald-Tribune: "With secure and sensitive support from the orchestra under the energetic direction of Larry Rachleff, the soloist provided exceptional tonal purity and dynamic phrasing at a level which effectively brought new life to a musical warhorse without the virtuoso histrionics too often associated with this masterpiece." Rachel Podger performed works by Bach and Vivaldi with Voices of Music. The San Francisco Chronicle: "Vivaldi’s Violin Concerto in D, Op. 4, No. 11, elicited Podger’s most stylish and dramatically focused efforts of the evening." The Berkeley Daily Planet: "Rachel Podger performs with a lithe, graceful athleticism, her body often arching back then thrusting upwards." Natalia Lomeiko performed Bruch's Violin Concerto No. 1 with the Dunedin Symphony Orchestra. Otago Daily Times: "Her playing is masterful; her phrasing appeared controlled by an apparent breathing into the bow, a poetic incorporation of bow and body making her virtuosity a sublime spectacle." Vadim Gluzman performed Bach's Violin Concerto in A Minor with the North Shore Chamber Music Festival. 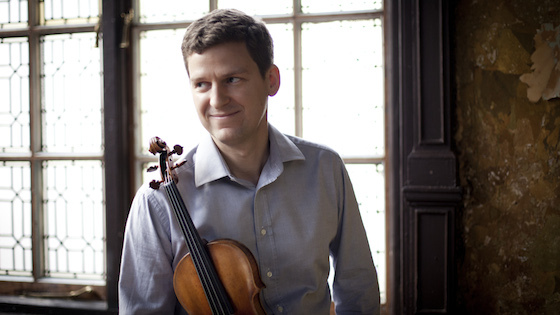 Chicago Classical Review: "Though not really a chamber work, it made a worthy solo showcase for Gluzman and the young musicians in a smooth and refreshing performance." Ayano Ninomiya performed the Stravinsky with the Boston Philharmonic Youth Orchestra. The New York Times: "The Japanese-born violinist Ayano Ninomiya was a brilliant soloist in the Stravinsky, though her efforts were sometimes covered by exuberant playing from the orchestra’s winds, who could have been held in better reserve." San Francisco Symphony dedicated its performance of Britten’s Sinfonia da Requiem to victims and families of the Orlando massacre. Violnist.com: "It wasn’t just music we were listening to; it rose higher and became bigger than the notes."